We should really call it the XYZs of migraines because the mechanism of this disease is complex and not well understood. The generally accepted hypothesis is that migraines originate in the brain and are the result of a disorder of the nerves and blood vessels. 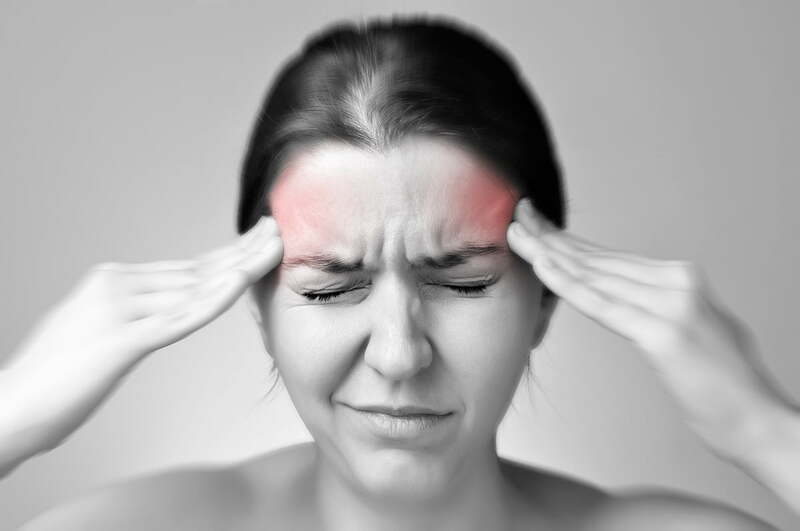 Swelling is what causes migraine sufferers pain. Some people experience warning signs, as the attack phase is often accompanied by changes in vision, nausea, and increased sensitivity to light and noises. Migraines can vary in length, frequency, and severity, so some people get migraines several times a year for very short periods of time, while others get them several times a week and the episodes can last for days. To effectively deal with migraines, it’s important to recognize the symptoms. Consult the table below to see the main differences between a migraine and a headache (also called a tension headache). Note that there are other types of headaches besides migraines and tension headaches that are not discussed here. For more information, visit Headache Network Canada’s website, www.headachenetwork.ca. Migraine symptoms can vary from one person to another. For example, some people don’t feel pain on just one side of their head, but all over. And while some people experience nausea or increased sensitivity to light or noises, others have just one of these symptoms. One thing is certain-migraines are painful and even unbearable, and negatively affect the everyday activities of those who get them. Migraines can also be a source of anxiety when they have a major impact on your daily life. Yu might start to fear getting a migraine, and this anxiety can increase the frequency and intensity of attacks. Furthermore, the fear of getting a migraine may cause you to isolate yourself and refrain from certain activities. Migraine sufferers’ brains produce less serotonin, a neurotransmitter that acts as a messenger and regulates functions related to emotions, pain, and the digestive system. This makes your brain hypersensitive to certain stimuli. Therefore, you may experience all kinds of symptoms in addition to pain. Nowadays we have a better understanding of the specifics of migraines. Unfortunately, that doesn’t mean that a painful attack can’t sneak up on us! But never fear – there are a number of ways to keep your head held high during these upsetting episodes so you won’t be laid out by the pain for too long. Here are some simple tips to help you mitigate the misery of a migraine attack. When the attack happens, going into a quiet, dark room can do a lot of good. Migraine symptoms can often be eased with rest. And if you are suffering from a heightened sensitivity to light and noises, moving to a quiet, dark place often helps. You can also apply a cold compress to your forehead and take a nap. The goal is for you to relax and get some rest. Your healthcare professional an provide you with medication that should be taken at the first signs of a migraine to help stave off attacks. Some drugs require a prescription and some are over-the-counter. An over-the-counter painkiller is usually recommended first, but if the attacks are very severe of the painkillers aren’t effective, you can also get other types of prescription medication. There are lots of options available to relieve a migraine, so don’t be discouraged if the first thing you try doesn’t do the trick. You can try different formulas such as fast-dissolving tablets, nasal sprays, or injectable medication depending on your symptoms, tolerance, and preferences. You can also get effective medication for nausea and vomiting if you have these symptoms. Do you get migraines frequently? Do you need to take painkillers several times a week? Talk to your doctor for guidance. Dietary (eg, skipped or delayed meals; dehydration; aged cheeses, caffeine, processed meats, alcohol, food additives. For more information about migraines and other health topics, feel free to talk with one of our Pharmacists.